C. L. Yeh is currently a Professor of Department of Aeronautical Engineering, National Formosa University, Huwei, Yunlin, Taiwan. He received B.S. (1987), M.S. (1989) and Ph.D. (1993) degrees from National Cheng-Kung University, Tainan, Taiwan. Dr. Yeh has served as an engineer in CTCI Corporation, the largest engineering, procurement, and construction firm in Taiwan, from 1995 to 1997, and as a consultant of Formosa Petrochemical Corporation in Taiwan, since 2007. 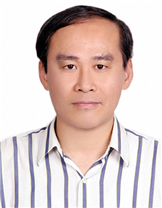 He is also the author and reviewer of research papers on fluid mechanics, heat transfer, chemical reaction, vibration, and stress analysis.